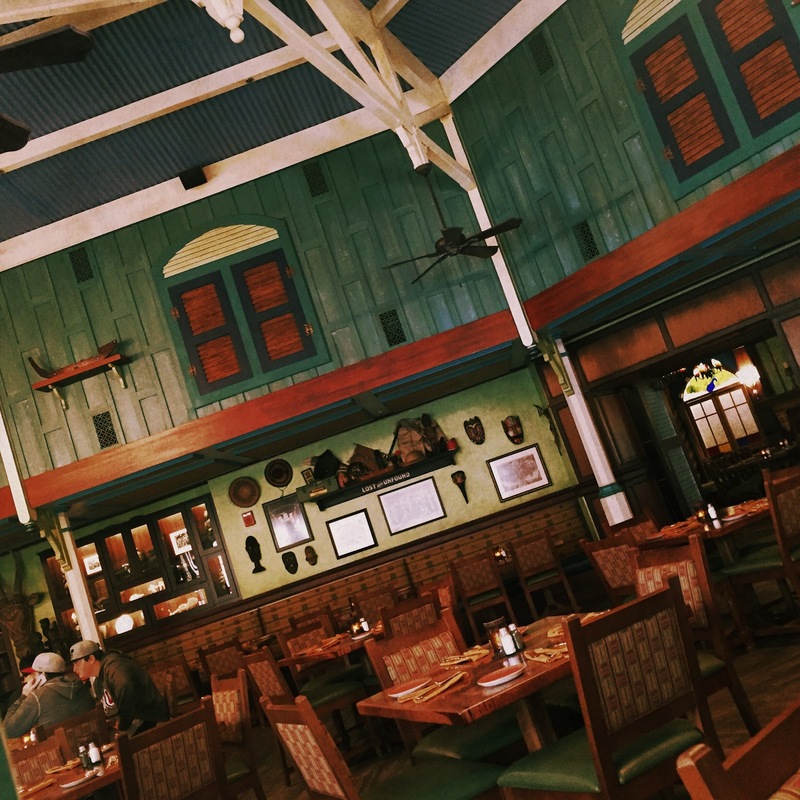 The restaurant is enormous. 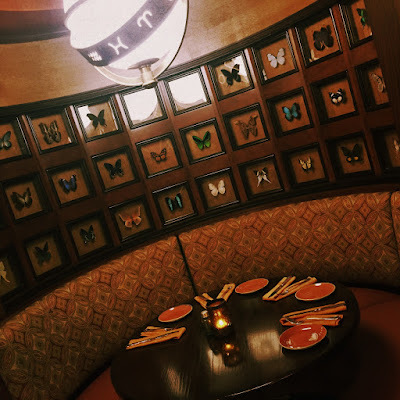 I was a little scared of the cavernous look of the restaurant based on other blogs reportage, but it feels quite a bit cozier in person. 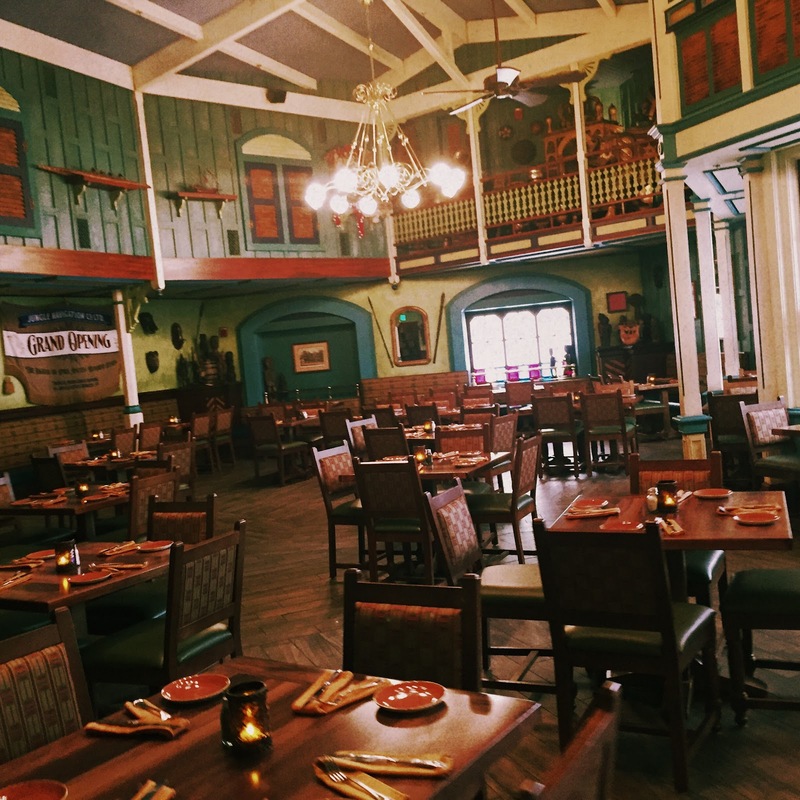 I do wish they had divided Mess Hall room in half, making it a total of four dining rooms instead of the three. Both the Family Parlor and S.E.A. 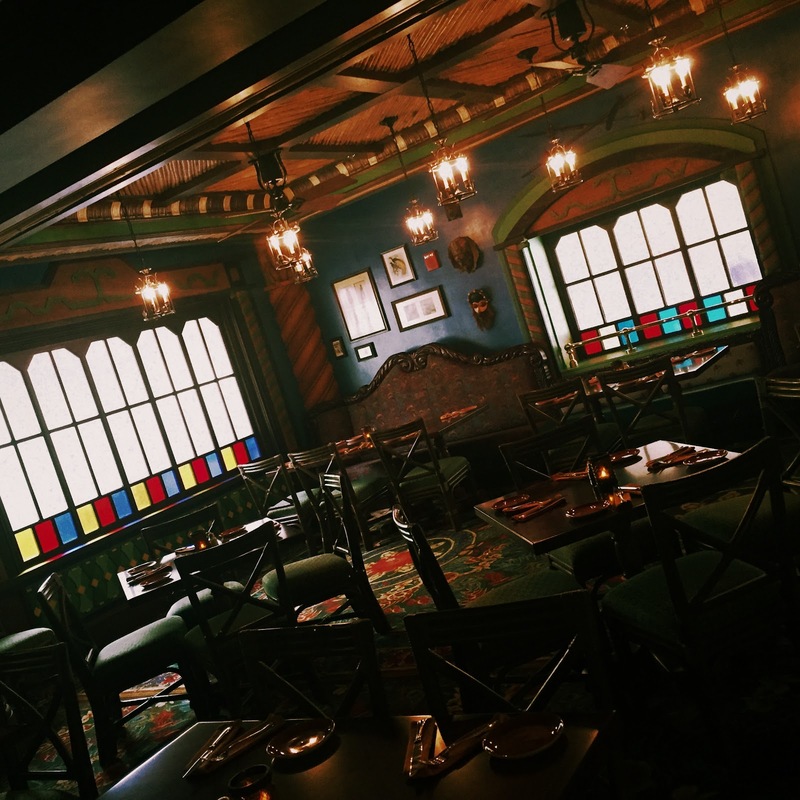 Room are more intimate and intricately themed than the massive Mess Hall. Luckily, you're able to explore the restaurant if you like. 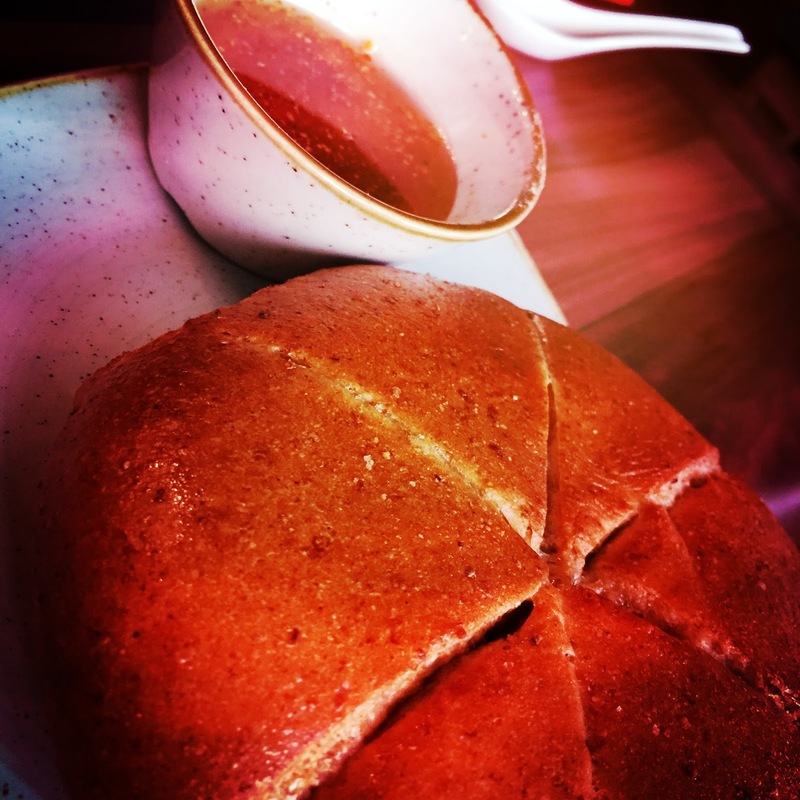 The meal begins with a rustic bread and honey dipping sauce. I'm not crazy about bread in general, but its nice to have this appear right away after running around the park all morning. The "sauce" appeared to be little more than honey. There was a lot of debate early on whether or not the tofu and veggie pho was indeed vegetarian. Again, it is VERY hard to get a clear answer when it comes to the use of chicken broth in Disney soups. We often get two different answers concerning the same dish. However we confirmed with both the server and chef that this was safe to eat. With that said, this soup was totally on point. We have been eating pho in both NYC and Boston for years, and have had both good and not so good versions. This was super delicious. The broth was very flavorful and benefited from the abundance of fresh herbs. It had a nice kick to it, without being too spicy. 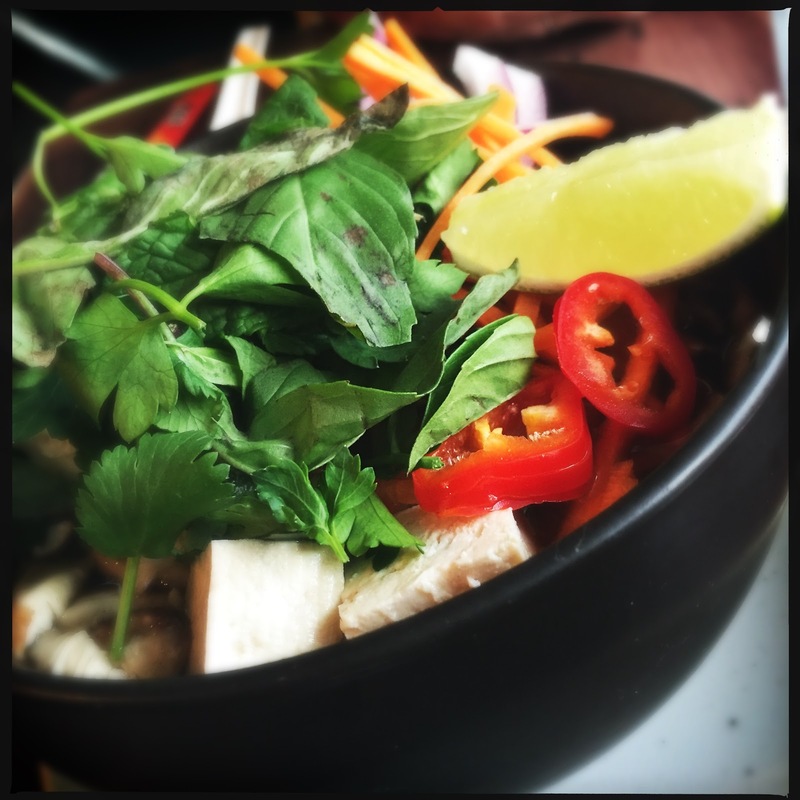 The portion was enormous, with tons of tofu and noodles. This dish is more than enough for single adult, and could probably be shared with another if you had appetizers. We also ordered the Crew Stew which has risen to fame in our house as my (Andrew's) new favorite dish at Walt Disney World. This is a very simple dish of stewed lentils, roasted cauliflower, sauteed collard greens, and roasted acorn squash. I know it looks basic...and in a way it is...but this dish has so many awesome flavors going on. Each component stands on its own. 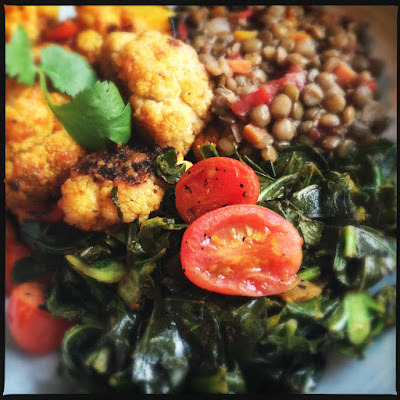 The cauliflower and lentils both have a strong curry flavor, the collards are bright with citrus, and the squash is simple and buttery. This dish is heaven. With Adam's notorious sweet tooth, and the good luck we had with our entrees, there was no way we were leaving without getting dessert. AND THANK GOD. 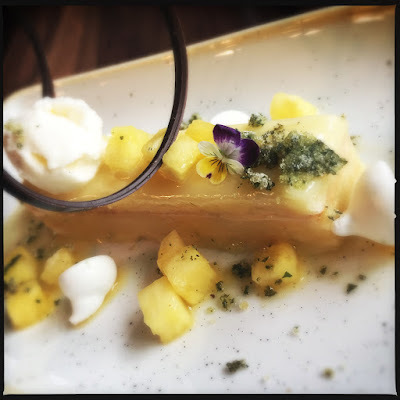 Below is the lovely coconut bar with pineapple basil compote and vanilla cream. We have never been fans of Disney World sit down desserts, they tend to be either overly pretentious, or bland...usually both. This confection was beautiful to look at, beyond yummy, and surprisingly balanced. Not too sweet, with a great acidity from both the basil and pineapple. The meringues added a textural crunch. A seriously perfect dessert. Can you believe it? A WDW restaurant that I have nothing bad to say about, I thought this day would never come. Best part is, we didn't even order appetizers, so there will be all new yummies for us to try next time! 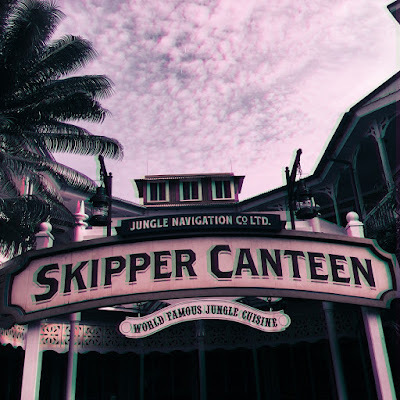 Get to Skipper Canteen as soon as you find yourself in Adventureland. Follow Along On Instagram, Twitter, Youtube, Facebook. Love your review and the awesome pictures! We are going in April and I keep checking the web for veg friendly reviews and adr openings! Can't wait to try the coconut bar and I'm sure it'll be hard to pick an entrée the pho and the stew both look delicious. Great review and the food looks lovely! After our first visit to the Skippers Canteen we cancelled our "Be Our Guest" reservations. BOG is notoriously difficult to get into because of the theming but the Skipper Canteen is easy to get into and the food is far above what I expect from Disney. We went back the very next day. It is our new favorite restaurant. BTW, for the carnivores, the Pho continues to be that good. It is amazing! Thank you for sharing an amazing post, I have gone through the blog and found it very interesting. Keep sharing such stuff.